News out this week that Chad McQueen of the Steve McQueen estate and Gateway Classic Mustangs are teaming up to produce a handful of Limited Edition 1968 Steve McQueen Mustangs. The 450hp small block Mustangs will be signed and numbered and We guess won’t come cheap either. 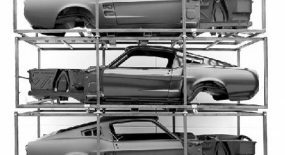 There’s no word on just how limited these will be though as I always say it’s great to see yet another reproduction classic mustang hitting the production lines. Take a look at one of the recreations built for Steve’s son Chad McQueen. BOURBON, Mo. 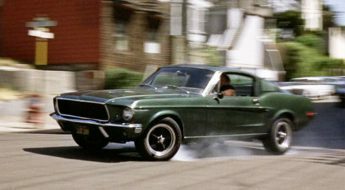 – March 15, 2011– Gateway Classic Mustang, the premier manufacturer of high performance vintage Mustangs, announced the start of production for its Limited Edition 1968 Steve McQueen Signature Mustang. 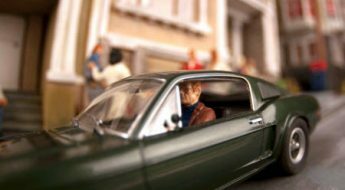 Gateway Classic Mustang teamed up with the Steve McQueen estate to design and build the car in honor of the legendary Hollywood actor and racing enthusiast. Powered by a Roush 450 horsepower small block, the Highland Green car generates 27 percent more power than its famous predecessor. Standing on an adjustable strut coil-over front suspension with power rack and pinion steering coupled with a three-link adjustable coil-over rear suspension with watts link, the car is as comfortable on the race track as it is on the street. 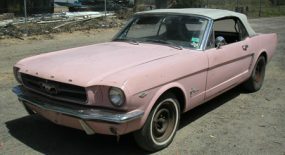 The Mustang begins with a 1967 or ‘68 original Ford body and comes with a Keisler five-speed manualtransmission coupled to a Hydraulic clutch. BFGoodrich tires surround the five spoke American Racingwheels, while Baer 12” front disc brakes and Baer 11” rear disc brakes bring the car to a halt. The interior of the vehicle is dressed in its original ‘68 features with updated black components, including a Gauge package with tachometer by Classic Instruments. A carpeted fold down rear seat and original style lap seat belts add to the overall atmosphere of the ‘Stang, while custom bolstered original style front bucket seats are also available in the vehicle by TMI. Air-conditioning by Classic Auto Air adds to the comfort of the car, while an AM/FM/MP3 stereo blares through a six speaker amplifier. Extreme sound deadening is supplied by Dynamat and stops road noise, vibrations and car rattles, while improving the car audio’s sound and bass. Gateway Classic Mustang is currently taking orders for the limited edition pony car. 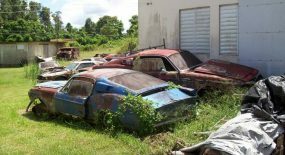 Those interested should visit www.gatewayclassicmustang.com or call 573-732-3541. Gateway Classic Mustang has been operating since 1999 under the direction of Lonny and Jason Childress. 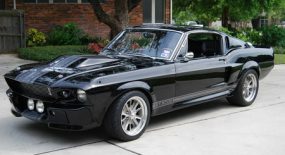 The company builds high performance classic, contemporary and resto-mod Mustangs and sells sophisticated parts through its online shop. Based in Bourbon, Mo., the company is located on 10461 N. Service Road. 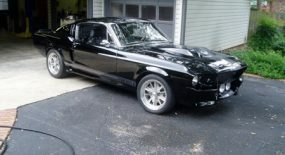 Additional information on Gateway Classic Mustang is available at www.gatewayclassicmustang.com. 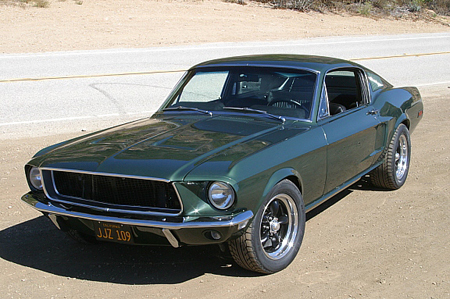 Pricing on Steve Mcqueen mustang?